A flowery tale more sweetly than our own ZaSu Pitts! Of Mary Pickford, Lucille LaSeur, or of Thelma Todd? What men or gods are these? What maidens promenade? What mad pursuit? What Keystone Cops to escape? What pipes and timbrels? What wild bootleg hooch? For ever wilt thou love, and be my comupence! Both in Love on Moonlight Bay! A maid was made of you. That few knew you, my sad ZaSu! A Priest as well, do not be a fool. And at the Oscars Judy Garland was the best dressed. But Tinseltown still calls for you, your wit! 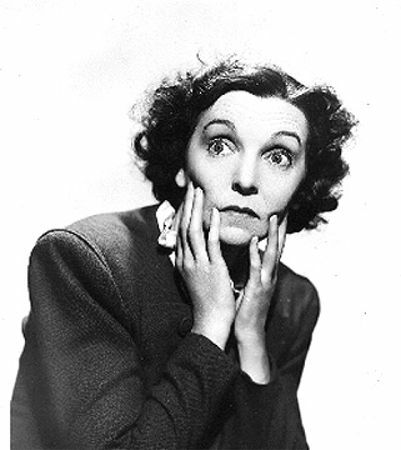 Oh where o' where is good old ZaSu Pitts! Ye know on earth, and all ye need to know of our dear old friend, ZaSu! This page was last edited on 14 March 2012, at 01:31.